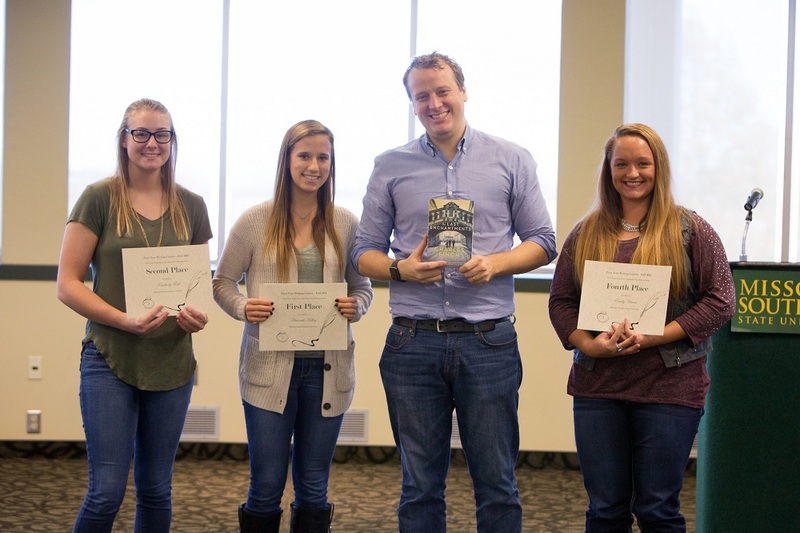 The winners of the annual First-Year Student Writing Contest were announced on Nov. 16 at Missouri Southern. Pictured (from left): Kimberly Teed, Hannah Kelly, Charles Finch and Emily Harris. Second place: Kimberly Teed, health, wellness and promotions major, Carthage. Fourth: Emily Harris, undecided, Webb City.